Point Of Sale (POS) | Kıbrıs İktisat Bankası Ltd. Being a corporate client of İktisatbank open the world of advantages for your customers and your business. Having İktisatbank POS terminal for your business you help your customers to accumulate points when they pay you for goods and services. Offering your customers to pay using the POS from İktisatbank will mean providing them with additional advantages. The menus of our Smart POS machines have been designed so you could use them easily. 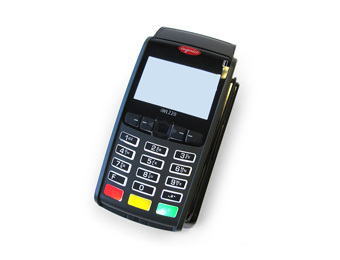 With our Smart POS machine you will be able to offer your clients the advantages of accumulating points and alternative of installment payments therefore widening your client base. You can use the Smart POS for processing payments of credit or debit card of any other bank (Visa®, MasterCard® / EuroCard®). Processing payments with Smart POS reduces the risk of carrying too much cash in your office and numerous trips to the bank to deposit the funds. 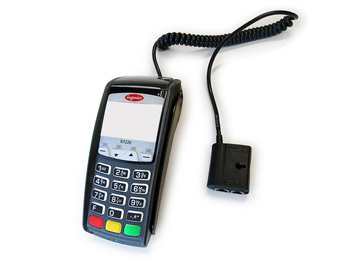 We can tailor make the commission rates for the usage of our Smart POS terminals to suit your business needs. Smart POS support is available between 08:00 - 20:00 7 days a week our Telephone Banking 444 4 444. Call into your nearest Iktisatbank branch.